I received an ARC of this book for an honest review from the publisher Bookouture through NetGalley. Goodreads Synopsis:1910, South America. A time of racial tension and poverty. A time where forbidden love must remain a secret. 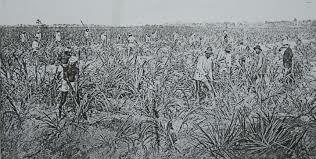 Winnie Cox lives a privileged life of dances and dresses on her father’s sugar cane plantation. Life is sweet in the kingdom of sugar and Winnie along with her sister Johanna, have neither worries nor responsibilities, they are birds of paradise, protected from the poverty in the world around them. A coming of age story, one of inequality and self-discovery and realising that the world is not the pretty picture one imagined it to be. Winnie soon comes to the realisation that not simply ‘wanting’ something to change is enough; sometimes one has to go against convention. She is forced to cast off of the cloak of naivety and use her moral compass to guide her actions even at the risk of being branded a traitor to her family and race. I think that this novel is written from the heart, and from experience, not just from imagination. I liked that we get to experience the racial inequality through Winnie’s eyes. For her it was just something that was, until she starts to realise that it should not be. I could identify with falling in love so completely and foolishly that it being forbidden just made it even more enticing, and thinking that that love would just magically take care of everything. In this, I felt the writer captured the fickleness of youth perfectly. 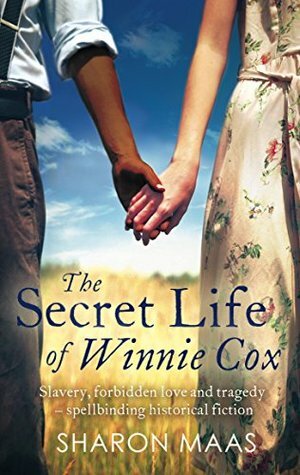 The imagery portrayed through the writer’s prose was enough to take this reader on an emotional rollercoaster; I cried, I laughed, I got angry, I was sad and flabbergasted at Winnie’s ‘silly’ notions of life. I was very relieved once she started seeing through the facade of her life and the world which she thought she know once reveiled was more that she could fathom. I recommend this for lovers of historical fiction, or anyone who likes books that tug at the heartstrings.